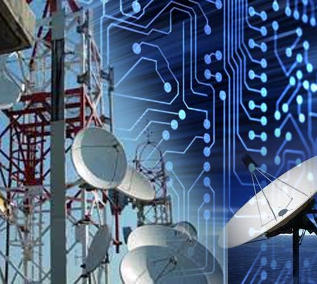 "The vicitity of Electronics and communication proliferated to most applications resembling fabrication of ICs, digital signal processin, VLSI, Embedded Systems, MATLAB, communication systems and Microwave and Radar system. The Electronics communication Engineering in conjunnction with Mechanical Engineering lays emphasis on deep understanding of 'Mechatronics'." Department of Electronics and Communication Engineering was established in the college in 2007 with bachelor degree in Electronics and Communication Engineering was started with an intake of 60.We have common laboratories and a department library with reference books. Electronics and Communication Engineering department has developed Slate-of-art laboratories in the various fields of Electronics and Communication Engineering. The department of ECE providing laboratories in various desciplines such as Electronic circuits lab, Analog & Digital communication,Microprocesors & Microcontrollers, IC & Electronic computer Aided design(E-CAD), Microwave & Optical communications lab, VLSI, Embeded systems lab and MATLAB.